Dolphins do some pufferfish (nobody tell Jeff Sessions). Adorable puppies discover a paddling pool. Prepare to be mesmerized. Or barf. It's the only way to fly! Mendip has some amusing pics, and some more. See a skilled goalkeeper in action. There is no red in this picture. Unholy shape-shifting beings live among us. Jesus is back, and he's not paying attention. Trump is making impressive progress (found via TYWKIWDBI). Languages are fun (really, they are). Best riff yet on the immortal They Live line. "The Fearless Girl" is New York's newest piece of guerrilla art, and she's already got some spiffy new headgear. Evil women are on the march! Time to start mumbling to yourself and stop eating! The new Beauty and the Beast movie joins Frozen, Rogue One, Fifty Shades of Grey, Lego Batman, a few zillion commercials, etc. as a target of wingnut wrath. My prediction on the impact: zero again. But their equally-impotent hate-on for Emma Watson will endure. Buffy the Vampire Slayer was a pathbreaker in its time (found via Mendip). Neanderthals had a good knowledge of medicinal plants. This is probably a volcano -- one which erupts salt water, not lava. It's often said that Newton spent his life celibate, but is it really true? On GMOs, remember the real issues. I'm glad to see any revival of interest in our true heritage, even if somewhat confused. Yeesh, it's as if the guy never existed at all. Least surprising news of the week: thuggery against abortion clinics is on the rise. And three new reports document the rise in hate and extremism under Trump. Folks are fired up about the wingnut menace, at least in Kevin Robbins's town. When arguing with Trumpanzees, consider "the backfire effect" (found via Mendip). Bigots push their agenda on Boston's St. Patrick's Day parade. Update: Pwned! 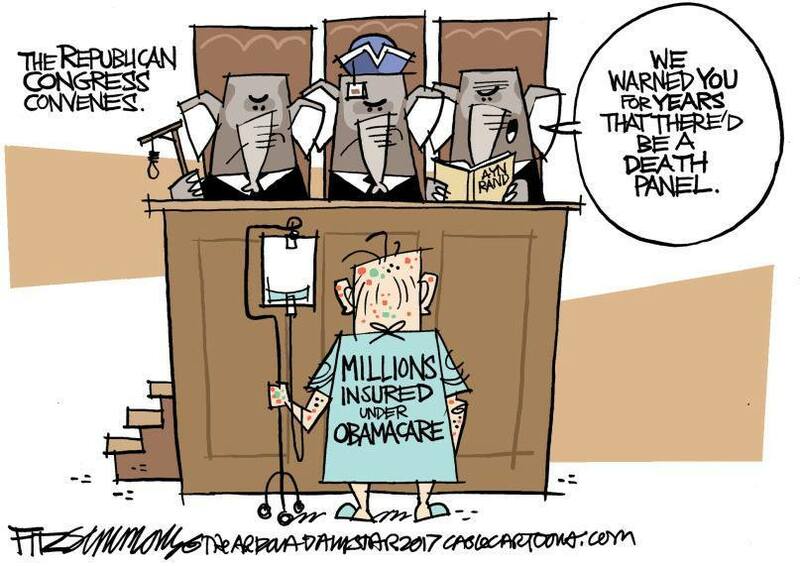 Yikes, the death panel is real! Americans reject the theocratic agenda. Even among "conservative royalty", many of the young and women reject it. 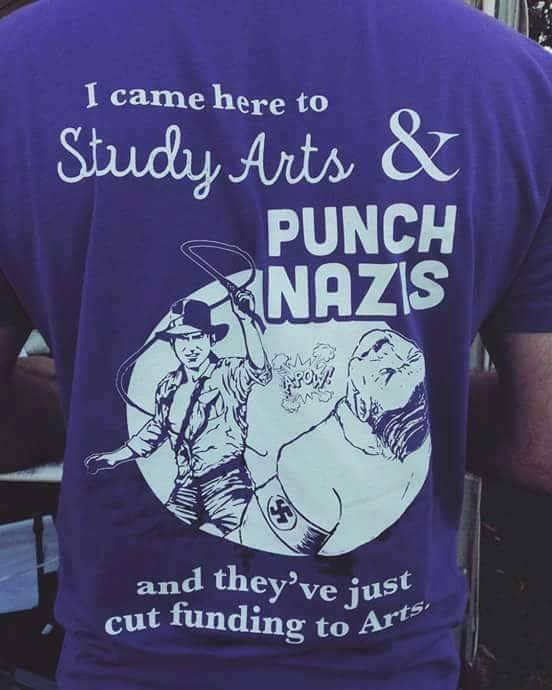 There's a toxic subculture on the left too. CPAC 2017 showcased right-wing ideology and reality-denial. This earlier post on its workshop list gives something of the flavor. Go ahead, tell me I shouldn't call these people "the enemy" (found via Mendip). When churches grow, it's not by converting unbelievers. They do it by cannibalism. Resistance works! 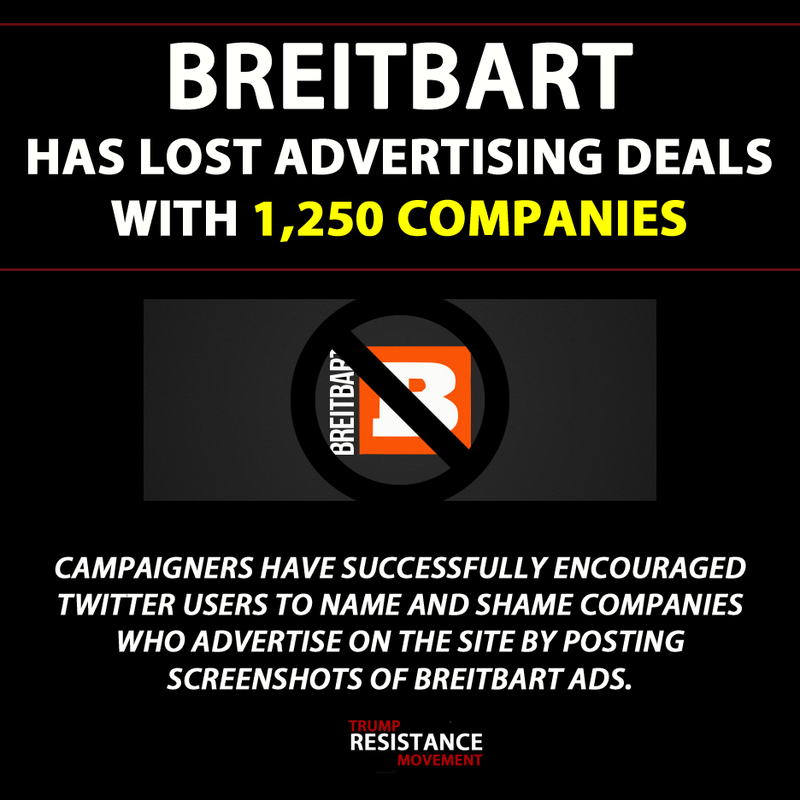 Companies are cutting ties with Breitbart and even with the Trumps. The modern world coddles a Christianist culture of abuse and slavery (found via Tell Me Why the World Is Weird). Some still anticipate a bountiful harvest; others realize they're being defeated. International Women's Day is truly international. Crazy Eddie has links and videos for the occasion. But this post is odd, mixing in a terrorist with real achievers. Then there's this. Spot the common thread. British legislators discuss a possible state visit from Trump. This Dutch-built machine cleans smog out of the air -- and turns it into jewelry. Would you go home to face radioactive wild boars? Egypt is making one of the world's driest deserts bloom. Affordable housing at last? This house was printed in 24 hours at a cost of $10,000. Domestic violence, already pervasive in Russia, is now legal there. And this, too, is pretty much a norm. Even Putin is now souring on Trump. Republicans may already be in a factional war over 2020. The Trump Titanic is sinking so fast, his enablers barely have time to jump ship. Politics Plus has some background on Neil Gorsuch. Trump is even more cut off from reality than we thought. And he talks like a comic-book villain. But he has something to celebrate, sort of. Paul Ryan doesn't even understand insurance. Here's a quick summary of the ACA repeal plan. Hospitals, the AMA, and the AARP already oppose it, and Democrats are ready to fight. More here. It looks like a no-win situation for the enemy. Ben Carson's remarks on slavery were beyond stupid. The enemy frets that Pence isn't a strong fighter for their cause. Congressional Democrats will soon have some leverage. Will this movie ever get made? The wingnuts are in a frenzy trying to distract us from the Trump-Russia scandal (found via Mendip). Here's our program, or a good part of it. In the meantime, support these. Thank you for featuring so many of my blog posts. She's right -- the Left is by no means free of misogyny. Sad to say, some of the most misogynist men I've ever met were hard-core leftists. Given how much time I've spent among Religious Right nutjobs, THAT'S SAYING SOMETHING. The backfire effect is real. I've seen in it action during conversations with people all over the political spectrum, but mostly among right-wingers, and it's frustrating. As for homophobes celebrating HIV-related deaths, they're still around, as Right Wing Watch demonstrates. We still have work to do. 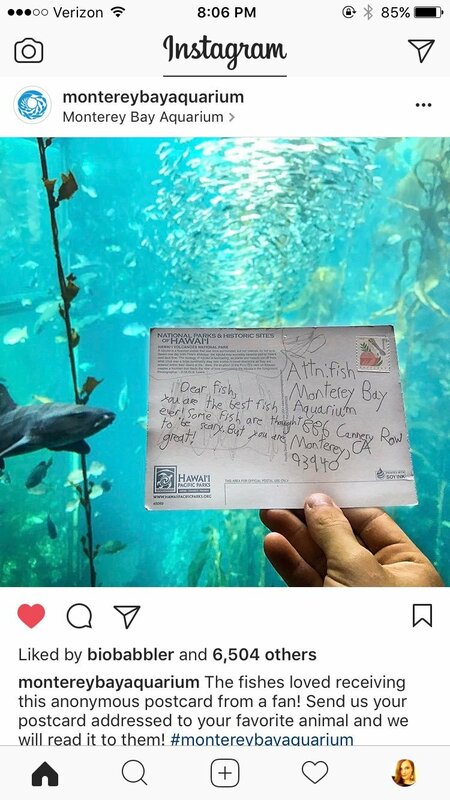 If fish could read, I'm sure that postcard would warm their hearts. Thanks for the "Sunday brunch", Infidel (and I mean this in a good way!). The article on Ceres made me think of my favorite SF show on TV right now (and the novels that it's based on), THE EXPANSE. In that series, Ceres has been colonized and has been "spun up" to create gravity for the population. Also, love the THEY LIVE gif with Spicer...although I thought it was Melissa McCarthy for a moment. Yes, there really is a toxic side on the Left. Some call them the "alt Left", and yes, some were telling people to go with Trump because Hillary was somehow worse. They are also claiming that the concern over Trump and the connections to Russia is a distraction...and that the DNC is worse than the GOP. Ugh. Ahab: Thanks for the posts you do. Your blog is a vital resource, especially these days. Misogyny on the left is bizarre, but obviously "the left" includes a broad range of people, some of whom are reactionary or ignorant in some areas. It reminds me of the problem of sexism and sexual harassment at atheist conferences -- it seems bizarre that it exists, but there's nothing about being an atheist that automatically makes a person free of bad impulses. Marc: There are some elements on the left that just prefer fighting with their allies over minutiae rather than fighting with the real enemy. If you get around Tumblr much and read the political content, I'm sure you've seen it. Luckily I don't think there are many of them. And anyone who still thinks Hillary would have been just like Trump is beyond help. Not familiar with The Expanse -- not having a TV (or much free time) means I get out of touch with some things. Did you actually make it through that Rod Dreher interview? I fell into a life threatening coma after the first three sentences. That was about 9am this morning, and my wife just succeeded in pulling me out of it. How can that little goalkeeper catch the disk in midair? Amazing. I couldn't do that. Green: I find the bizarre world-view reflected in such texts to be weirdly fascinating. It's like an evil version of Alice in Wonderland. Blurber: He's obviously got great reflexes and eye-paw coordination. It's too bad he doesn't play professionally.